Even though Easter is early this year and the weather is slightly questionable at the moment, I'm very much looking forward to our Easter Weekend. 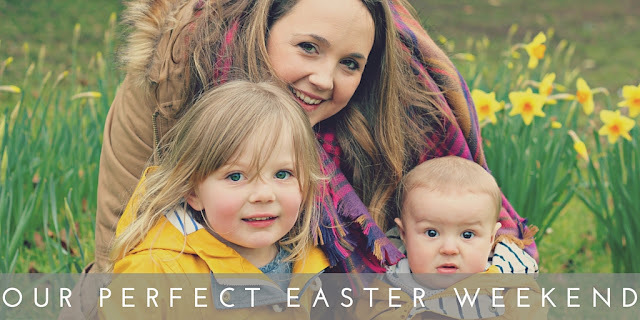 So what makes the perfect Easter Weekend? Well for me, it's family. Spending time with the ones you love. We live in a hectic world and our family is very much a hectic one too. I'm now back at work, running a blog/business my Husband has a very full on and important career and we have two wonderful children too. Making sure we get the balance right is so important to us, so when holidays like Easter comes along, we always try and make the most of this special family time. So here are a few things we have lined up to make the perfect Easter Weekend. We love a movie night, any excuse to snuggle up together watching a classic on our Panasonic 4K TV, eating popcorn and having a giggle. If you've checked the weather for this Easter weekend, it's looking like it's going to be a typical bank holiday. Full of rain. So I have picked up a Winne the Pooh Classic, Springtime with Roo, which I think Darcie will love. 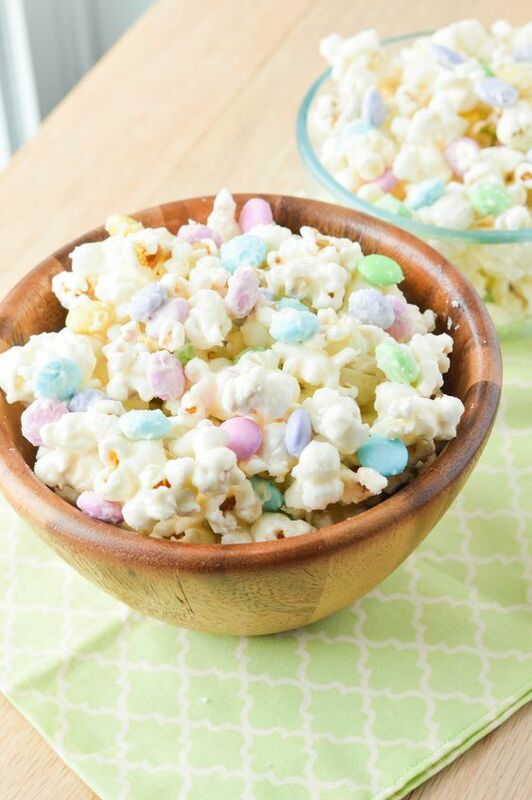 We will also make our usualy popcorn/Easter snack mix which usually contains a variety of popcorn, crushed mini eggs and a few other goodies we find thrown into the mix. This is something my daughter is very much looking forward to. She loves to get messy, to draw and paint - so an easter craft this is definitly something we will all enjoy doing together. I'm thinking of making some Bunny/Chick Masks and perhaps making our own egg tree decorations. I have got a few ideas on my Easter Crafts board on Pinterest. Easter wouldn't be complete without one. We actually have already done one this year (at the weekend) but we're hoping to do another one with family too. It will be more of a treasure trail to find their Easter Baskets, which will contain mostly non chocolate goodies as they've had enough already! 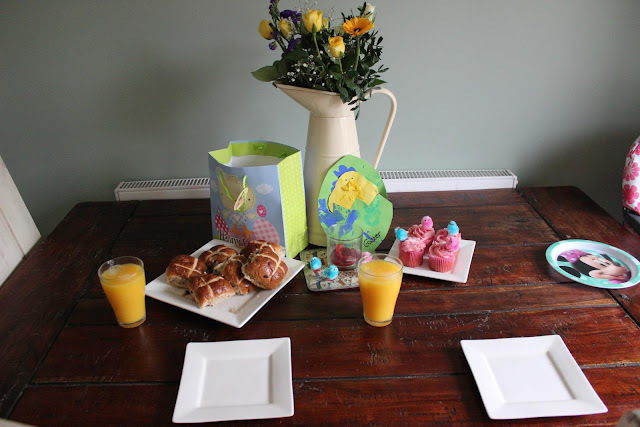 We don't tend to do a special Easter Dinner, but we always do a nice family Easter Breakfast and it's becoming our own little tradition. We have hot cross buns, crassoints, a selection of fruit, and a healthy(ish) fry up too. After having a humongous breakfast and probably a lot of chocolate, a walk is most definitly on the cards. I'm hoping it will stay dry for a nice walk along the beach to get some sea air, when we will then go back home and have that movie night I talked about earlier. For us this makes a perfect Easter weekend. How about you? Do you have any plans for this up coming holiday?